These days, if you’re an engineer, inventor or just a tinkerer with a garage, you don’t have to look far for a juicy opportunity: there are cash prize challenges dedicated to landing on the moon, building a self-driving car, cleaning the oceans, or inventing an extra-clever robot. Today, together with the IEEE, we’re adding one more: shrinking a big box into a little box. Of course, there’s more to it than that. 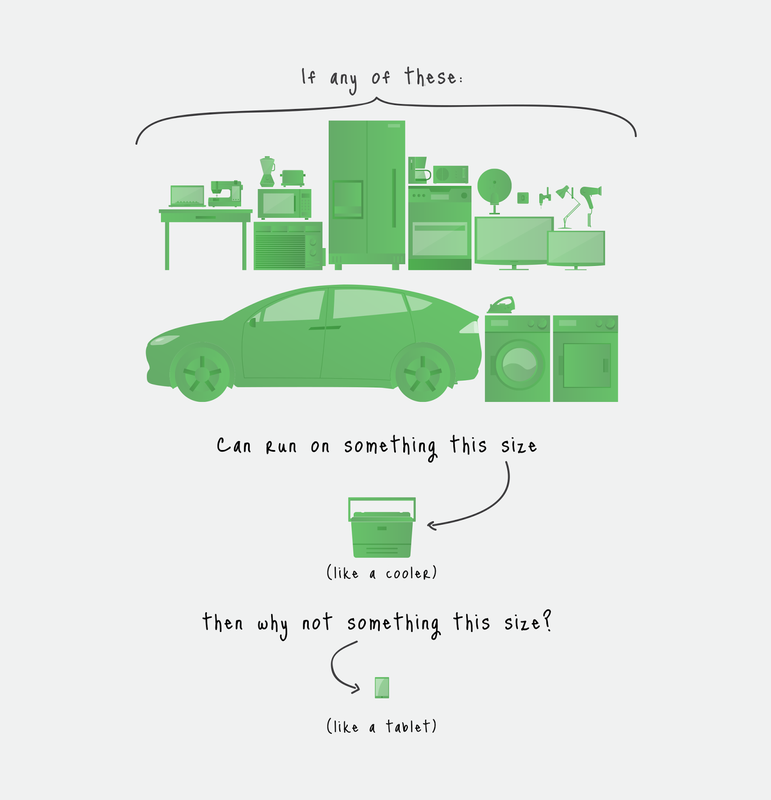 Especially when the big box is a power inverter, a picnic cooler-sized device used to convert the energy that comes from solar, electric vehicles & wind (DC power) into something you can use in your home (AC power). We want to shrink it down to the size of a small laptop, roughly 1/10th of its current size. Put a little more technically, we’re looking for someone to build a kW-scale inverter with a power density greater than 50W per cubic inch. Do it best and we’ll give you a million bucks. There will be obstacles to overcome (like the conventional wisdom of engineering). But whoever gets it done will help change the future of electricity. A smaller inverter could help create low-cost microgrids in remote parts of the world. Or allow you to keep the lights on during a blackout via your electric car’s battery. Or enable advances we haven’t even thought of yet. Either way, we think it’s time to shine a light on the humble inverter, and the potential that lies in making it much, much smaller. Enter at littleboxchallenge.com—we want to know how small you can go.